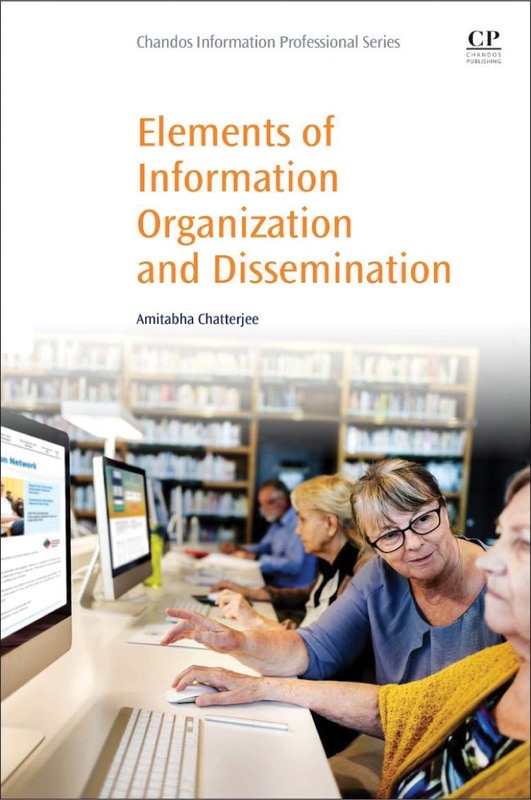 The book begins with capturing the historical developments of information organization and dissemination (IOD) functions in the 20th century till the second decade of 21st century. The transition of the key areas of information organization and dissemination in the last few decades has been enormous, after the large-scale implementation of information and communication technologies (ICTs) in handling information storage and retrieval functions. Of late, the users have become generators of information, not only textual but also multimedia contents that include images, audios, and videos. User-generated information becomes a great IOD challenge to the information professionals engaged in designing appropriate solutions for the library and information centres in organizing ever-increasing knowledge for the easy retrieval and dissemination at the later stage. The book is systematically structured with 26 chapters, providing the reader an opportunity to self-navigating from the conceptual frameworks to information infrastructure as required for the fulfillment of IOD functions. The book covers a majority of topics usually taught in the library schools in South Asia and widely accepted in the curricula in the Global South. Although book primarily focuses on global information systems and services, the author provides a detailed account of IOD theories and practices originated from the United Kingdom, United States of America, India, and few other countries. From different institutional examples the author cited in this book, the reader will get familiar with a diversity of IOD tools and services available in different countries. Some of the IOD services, as described in different chapters of the book, have now become things of the past, and no longer are offered in the forms and scales they were initially introduced. In Chapter H, a popular service called Selective Dissemination of Information (SDI) is described in great detail. SDI service brought out a transformative change in the ideas of delivery of information to the academic and scientific communities. SDI service became popular during the post-war 20th century. It was initially designed in the late 1950s for the scientific communities to provide documentary information matching their interest profiles. Later many email-based SDI services were created in the special libraries of R&D institutions to cater to the needs of the scientific communities. The publishers of e-journals and electronic databases then introduced their respective article alert service for their subscribers and prospective authors. One of the modern-age SDI services “Google Scholar Alerts” is now used widely by the researchers and scientific communities to stay up-to-date. All these comparable services are the successors of SDI service. The book then includes a chapter on Community Information Service (CIS) which enables universal access to knowledge resources by the common citizens in the remote areas including by the forest dwellers, rural artisans, farmers, and industrial workers. The community information centres (CICs), designated to provide community information service, ensure last-mile connectivity while enabling equitable access to public sector information. CICs also have created an enabling environment for citizens’ participation in governmental decision making through posting their opinions and civic demands. The author then draws examples and success stories of CIS in different continents, including the Americas, Africa, Asia, and Europe. While describing CIS in India, he introduces various initiatives undertaken by the government/semi-government agencies, NGOs, and corporate sector. The author even mentions how communities learning centres and community libraries have become instruments of change in the developing countries for expanding access to lifelong learning and skills developments to the members of underprivileged communities. The author identifies a plethora of interactive online information services provided by the individual libraries and innovative library professionals, in a chapter titled Recent Trends in IOD. The author then briefly describes the global open access (OA) movement that aims at making public-funded research freely accessible to all stakeholders in a knowledge society. OA scientific literature has a better scope for large-scale dissemination and attracts more citations than the subscribers-only journals. In this direction, OA institutional repositories, also known as green OA channel, are established at the institutional level to maximize the global visibility of an institution’s scholarly research. However, in this chapter, the author did not attempt to describe OA knowledge repositories being established at the funders’ level to fulfill the mandates of public-funded research. The minor fault I could find in the book is that it narrates the facts and figures in one of the units popular in Indian sub-continent, i.e., ‘Lakh,’ without defining its value in an international term (page 1). Here, one lakh denotes 0.1 million, one million indicates ten lakh, while one crore means 10 million. The book primarily caters to the educators and students of library schools to understand major conceptual frameworks associated with IOD. This book will also be useful to the scholars in i-Schools and short-term course participants to follow a domain presently pushed to back-office operations in a modern library setup. To cater to markets in the developing countries, a low-cost edition of this book is highly desirable.